Construction is expected to start soon on a high speed rail to connect Ningbo and Zhoushan, two neighboring cities of Zhejiang province, with a meeting for reviewing the project's feasibility recently having taken place in Beijing. 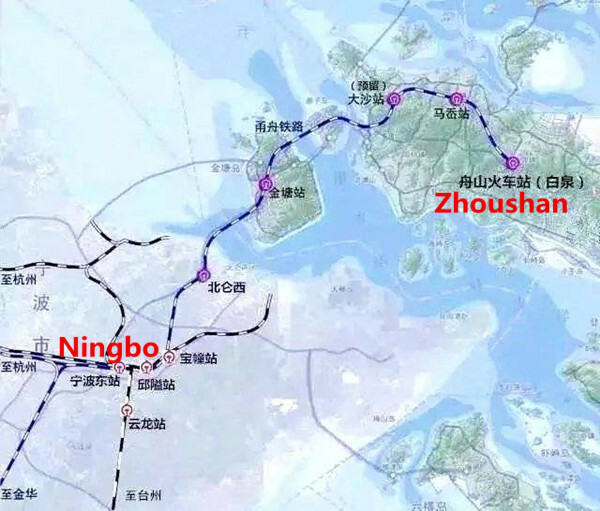 The Ningbo-Zhoushan rail, designed to stretch 77 kilometers, will end the days when Zhoushan had no rails, and shorten the time to travel between the two cities to only half an hour upon entering operations. Notably, the section from Beilun district in Ningbo to Jintang Island in Zhoushan is designed to be a 16.2km subsea tunnel, which will be the nation's first subsea high speed rail tunnel. Trains from Zhoushan to Hangzhou, capital of the province, will also be launched, shortening the time to travel between the two cities to around 75 minutes. The rail will focus mainly on passenger transport, with also some light cargo, and the train speed is set to be 250km/h. 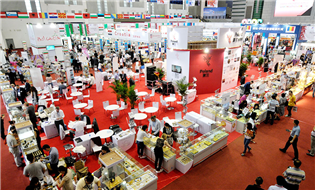 It is expected to significantly contribute to the role of Zhoushan and Ningbo in the ongoing construction of the Belt and Road Initiative.